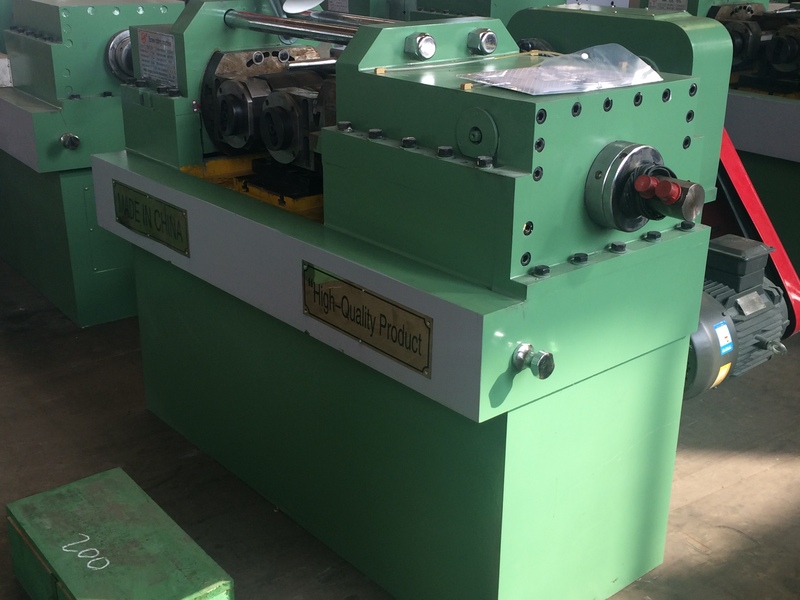 Product categories of Thread Rolling Machine, we are specialized manufacturers from China, Thread Rolling Machine, Rebar Thread Rolling Machine suppliers/factory, wholesale high-quality products of Two-Die Thread Rolling Machine R & D and manufacturing, we have the perfect after-sales service and technical support. Look forward to your cooperation! This model is widely praised for its rational price, easy maintenance and high quality. Besides axial and radial process, it is used to process regular and irregular bolt, through screw etc. with optional embossing roller. 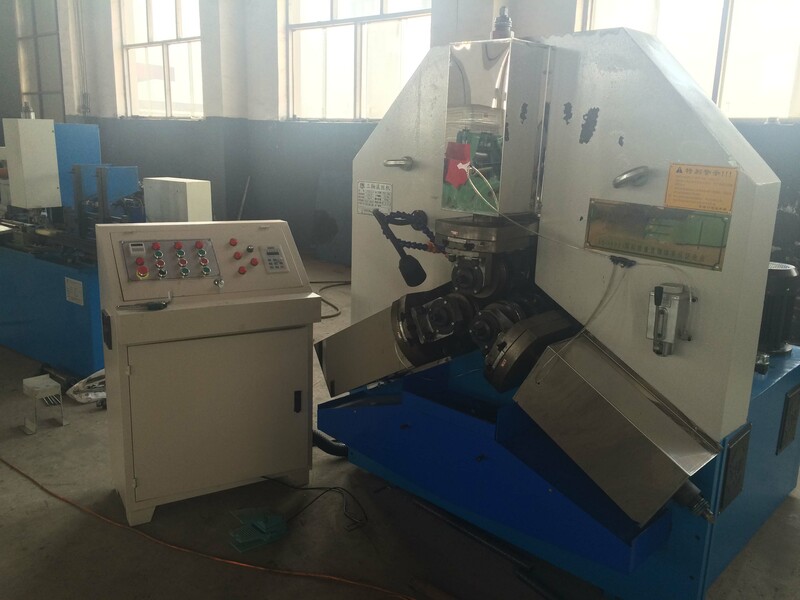 The through screw made with this machine in ZheJiang Standard parts base has been exported to US, Canada and Europe. 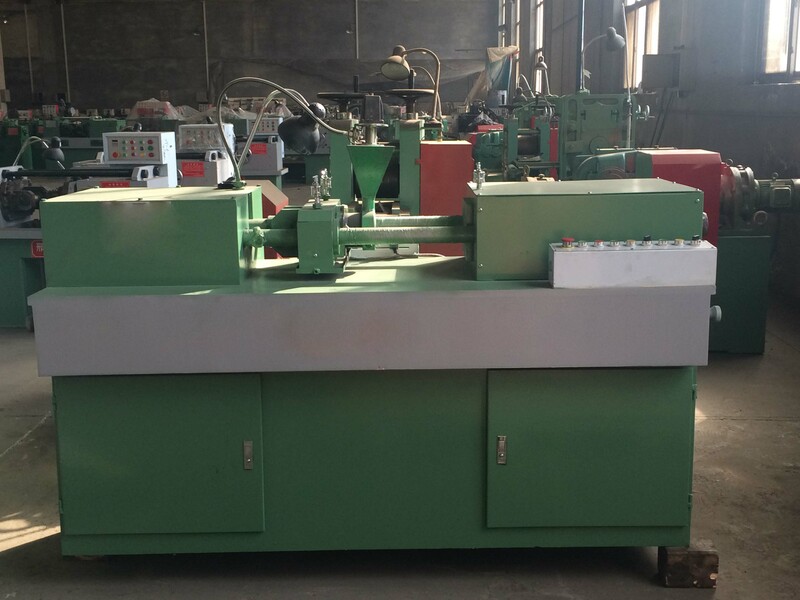 This model mainly is used for various types of precision outer thread rolling, including the common thread, trapezoidal thread and modulus thread, workpiece to circular shape, straightening, rolling wrinkles, light and rolling work, Adapt rolling of material: elongation and tensile strength than 10% less than 1000N/mm² of various carbon steel, alloy steel and non-ferrous metal. 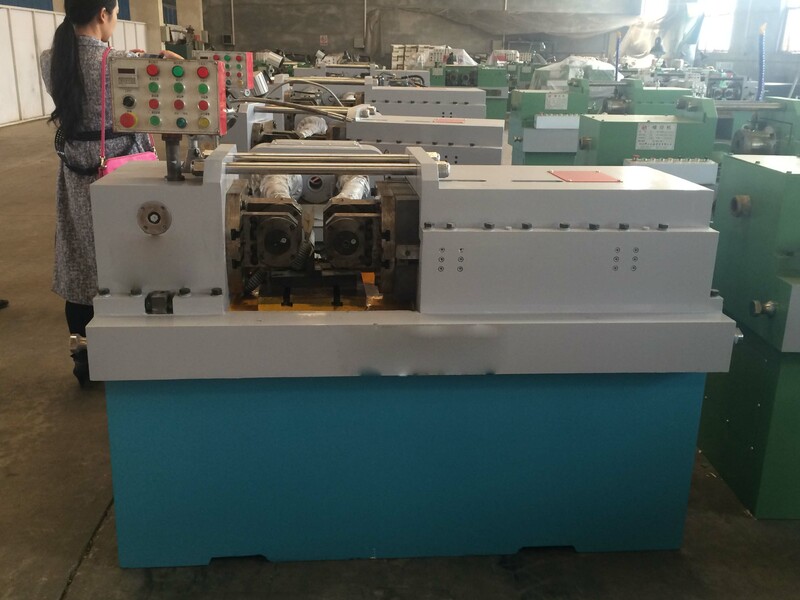 This model is characterized by rational and solid structure, great active force, low noise, low failure rate, convenient adjustment, high precision in processing screw thread, and wide application. 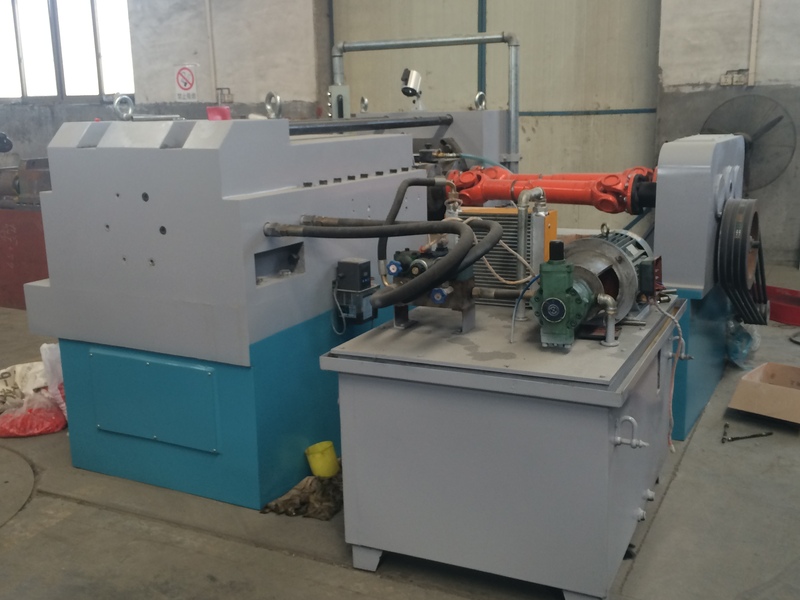 It can have roll finishing on various external threads including regular, trapezoidal and modulus screw threads, and have molding, barreling and knurling processes on workpieces. 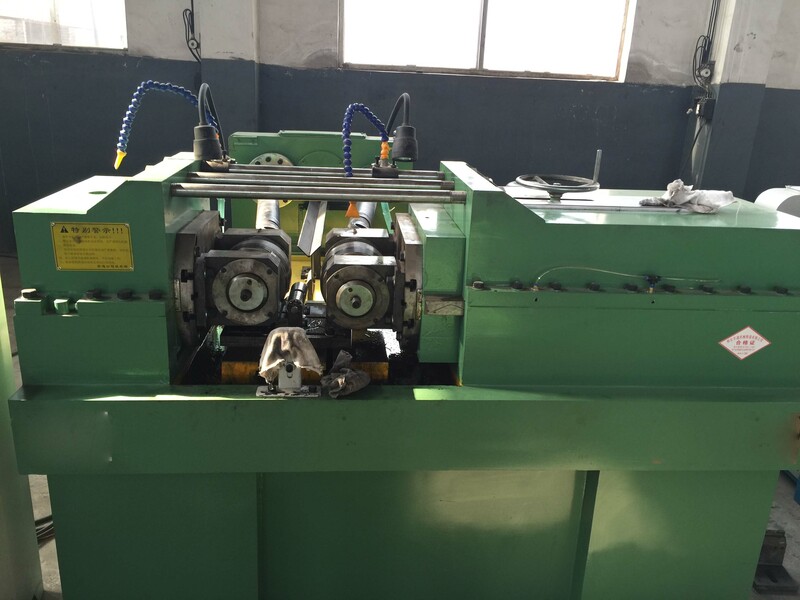 Driven by worm gear and worm, equipped with an automatic lubrication system, manual, pedal, semi-automatic and automatic controls, it is easy in operation, high in production efficiency and low in labor intensity. Equipped with corresponding thread roller, it can process regular and abnormal bolts of various specifications.